Diane is a Managing Director in Deloitte Consulting Financial Services Practice leading global account relationships and providing strategic services to Deloitte’s Office of the CEO clients. In this role she leverages her broad consulting and international corporate experience partnering with her clients to achieve market driver alignment, business goal establishment, and operational and people strategy development and execution. Her experience includes strategy, leadership alignment, operating model and organizational structure design, legal entity restructuring, M&A lifecycle execution, new business and location establishment, offshoring, outsourcing, business line and corporate function transformation, relocation execution, union negotiation and works council consultation, and change management across the Americas, Asia, Australia, Europe, and New Zealand. Diane has acted as a regional Management Committee Member, HC regional head, generalist, strategist and deep functional expert. Previous industry affiliations include Goldman Sachs, TD Waterhouse, TD Securities and The Toronto-Dominion Bank. 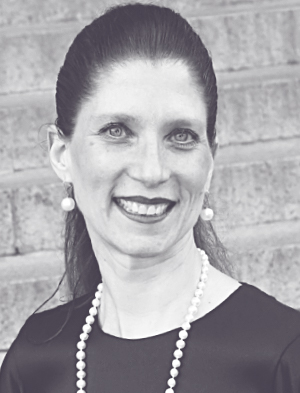 Diane is on the Boards of Directors of the YWCA of NYC, the Governance Board of the Wall Street Women’s Alliance, and is a Commissioner and Pro-bono Adviser for the Women’s Refugee Commission. She is also a former board member of the Women’s Bond Club of New York.